Apple has given wings to your dream while making world’s most innovative smartphone the all new Apple iPhone 6S, Apple iPhone 6s Plus on 10th Sept. 2015 at at the Bill Graham Auditorium in downtown San Francisco. Apple iPhone 6S launched at at $649 for 16GB, $749 for 64GB and $849 for 128GB while Apple iPhone 6s Plus launched at $749 for 16GB, $849 for 64GB and $949 for 128GB. 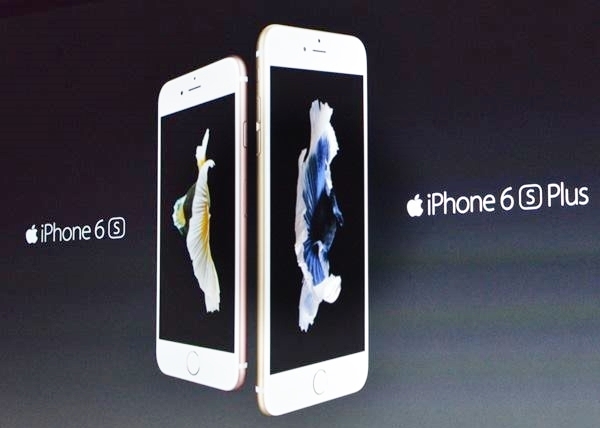 Apple iPhone 6S and Apple iPhone 6s Plus Pre-order starts from 12th Sept. in USA. Apple also launched Apple iPad Pro with 12.9 inch display priced at $799 and Apple iPad Mini 4 starting price at $399. Let’s check out Apple iPhone 6S VS Apple iPhone 6s Plus comparison. The all new Apple iPhone 6S supports 4 GLTE,3G, Wi-Fi, NFC, GPS, finger print scanner and Bluetooth comes with a 4.7”-inch HD (1334 x 750 pixels) Retina Display with new 3D Touch technology(~326 ppi pixel density) assures superior wide angle view perfect for reading e-books, playing games and watching movies. Apple iPhone 6S runs on latest Apple iOS9 with iCloud and Apple’s latest A9 quad core processor to ensure superior multi-tasking with faster 2GB RAM and 16GB/32GB/64GB/128GB Internal memory offers you huge space to store your favorite movies and songs. For shooting Apple iPhone 6S sport a 12-MP iSight rear camera with dual-LED (dual tone) flash and 4K resolutions using HDR image technology perfect for low-light photography and 5-MP front camera fro selfi and video calling powered by a Non-removable Li-Po 1715 mAh battery with talk time Up to 14 h (3G) and standby time Up to 240 h (3G), Music play up to 50 hours with new advance Wireless charging system including Improved Touch ID fingerprint sensor, Siri, Air Play, Air Print and cloud measures 138.3 x 67.1 x 7.1 mm and weight just 143gm. While The all new Apple iPhone 6S Plus supports 4 GLTE,3G, Wi-Fi, NFC, GPS, finger print scanner and Bluetooth comes with a 5.5”-inch full HD wraparound Retina(1020 x 1980 pixels) display with new 3D Touch technology(~401 ppi pixel density) assures superior wide angle view perfect for reading e-books, playing games and watching movies. Apple iPhone 6S Plus runs on latest Apple iOS9 with iCloud and Apple’s latest A9 quad core processor to ensure superior multi-tasking with faster 2GB RAM and 16GB/32GB/64GB/128GB Internal memory offers you huge space to store your favourite movies and songs. At last few honest word, the all new Apple iPhone 6S VS Apple iPhone 6s Plus comparison saying both smartphone hidden tons of features to please you. What you think? Please be open to give your view.